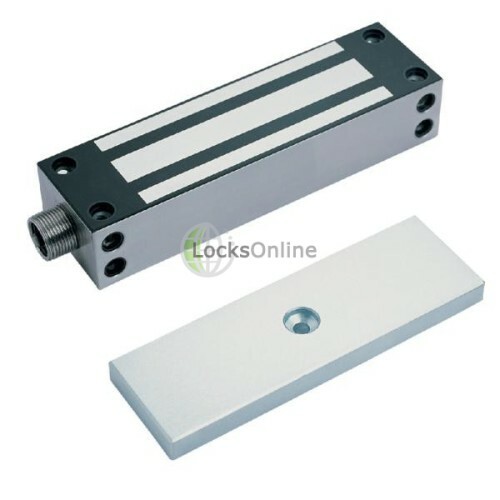 When it come to securing gates, doors that are external to the weather on both sides, you need to consider this magnetic door lock, it has monitoring as standard if you wish to interface with an access control system. The body is stainless steel and there quite happy being rained on day in, day out. Pulling about half an amp on load this Magnetic Door/gate lock will hold just over 500Kg of force that have a metric ton. 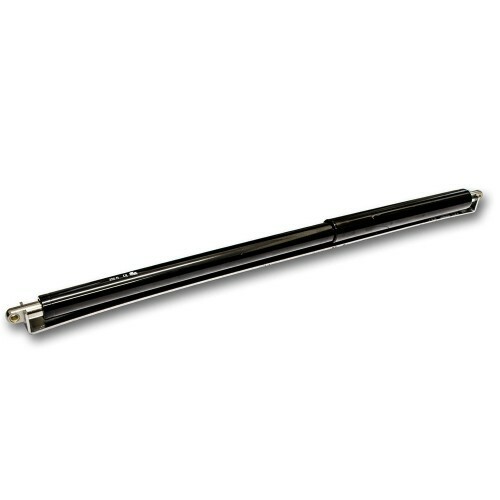 If your looking for Magnetic Holding Power consider the LOL500G External Magnetic Lock. 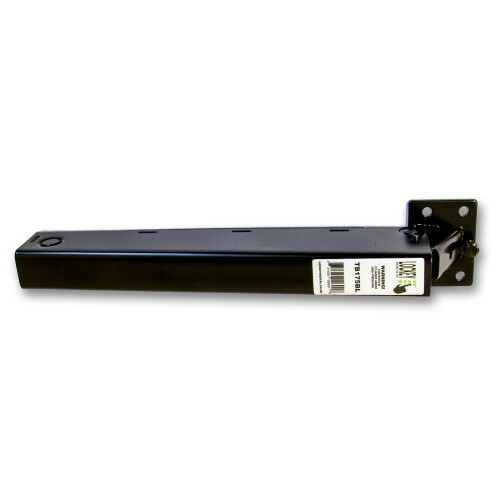 The mag lock can work on 12 and 24 Volt system if needed and an array of brackets to support the lock are available also. 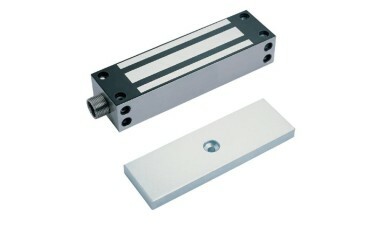 5000 G external magnetic Gate Locks, heavy duty security for design architectural doors. 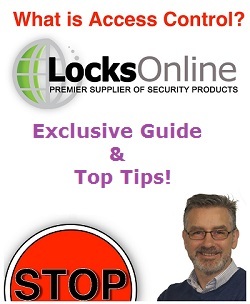 Hi guys, my name is Darrel, and I'm head of the Tech Team here at LocksOnline.co.uk. Thanks for taking some time to tune in and have a look at our product review videos. 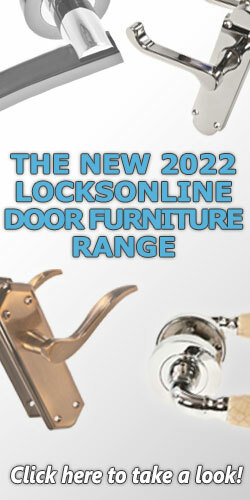 Today we are talking about external magnetic locks that are designed to work in external environments etc. and the one that we have here, is the ASEC is the 4500 external magnetic gate lock that's designed obviously for gates or for any type of application that you may have that is going to be out in the environment or is in a hazardous area. Now the actual magnetic lock itself is the casing and so forth is made out of stainless steel and for obvious reasons because if it's going to be used in an extreme environment, so that's well worth knowing. It also comes with a length of cable here on the end as you can see. That allows you then to connect this to whatever source you've decided to connect to get yourself the power up to energise the magnet. Of course it has this thread on the end here as well, if you were going to use a steel conduit system, then you can actually come of there and use some steel conduit, etc., or you can use some different types of flexible type conduit that you may need. Now one of the advantages with this particular type of magnet as you may see that it's got loads of different forms of fixing options so you can either surface fix like that straight though those particular holes there or you can actually fix upwards, so there's holes there also at the top there and obviously on the bottom that drive all the way through. And the idea is that you can actually fit it up into a head door or something similar like that. So it comes with a complete different arrangement in regards to fixing, so that's quite good in that respect. The armature plate as well is one of the new modern types of armature plates where it has one of these residual magnetism push release buttons here and the idea of that is if this magnet is holding for a significant period of time, when you've actually power-fed you can get residual magnetism in there and this little button here is designed to push the armature plate away from the magnet to get rid of that residual magnetism for that first initial release. So that's quite an important, that's quite a modern design in that respect. Now this particular magnet can hold up to a whopping 200 kilos, that's a significant amount of weight and I think that's a bit more then what even I weigh so it's going to hold a lot more then what you might think. And of course it also has these little pins on the back there so therefore then it will stop it from wobbling too much when you decide to flip the armature plate. Now, if you're not 100%, if you're not familiar with fitting mag locks, the idea with this armature plates is you got to keep them in loose like that. Even though you have a centre fixing there, you normally have a rubber grommet that sits in behind there as you need a bit of flexibility there because the security depends on how flat you can get this armature plate to sit onto the actual magnet itself, it has to be flat guys, there's no excuses. 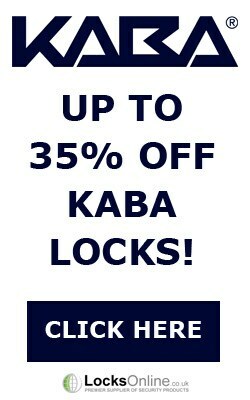 If it's slightly off then the security you can reduce 80% of the magnetic holding force. So all those little pins do is stop it from twisting up and down but you need to keep it loose so there is a little bit of play there. Now once I'm here as well, what I'm going to do is get some measurements on this particular armature plate. 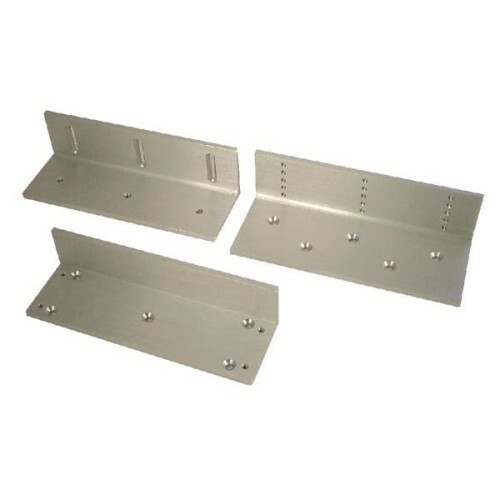 Also, let you know as well, there is a set of brackets are available for inward / outward opening doors or doors where you might not necessarily have a fixing then you can get the brackets that are available for this particular magnet, and they are available of course on our website as well. So let's get some measurements on this external one. So the overall length of this particular magnet here is 220 millimetres, it's height there is 45 millimetres and it's depth is 30 millimetres. Okay, so that's the actual measurements of the actual mag itself. And then on the armature plate which is quite a wide one, that's 45 millimetres, the overall length of that is just a fraction over 181 millimetres and it's depth is just short of 12 millimetres there. So there you go, guys, it's available on our website. 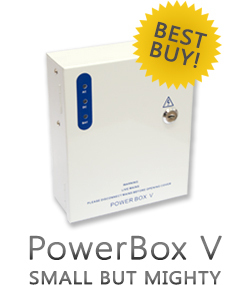 It's quite a popular seller for us because if you've got an access control solution where you've got a gate or you've got a final exit etc. that's in a harsh environment then maybe this is the type of magnet that you maybe want to be considering. But if you need a bit more information or you want a bit more advice then you can always pop on, use our live chat on our website, it's totally free, pop us over an email or simply just pick up the phone. 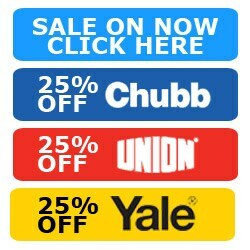 Either way we'd love to hear from you and more importantly we'd love to see you as our customer. So from me, Darrel, and all of us here at the LocksOnline, thanks for taking some time to tune in, and we will catch up with you real soon. Bye-bye now.